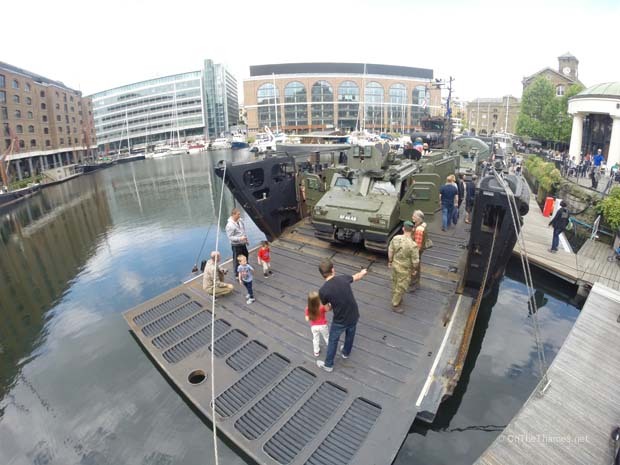 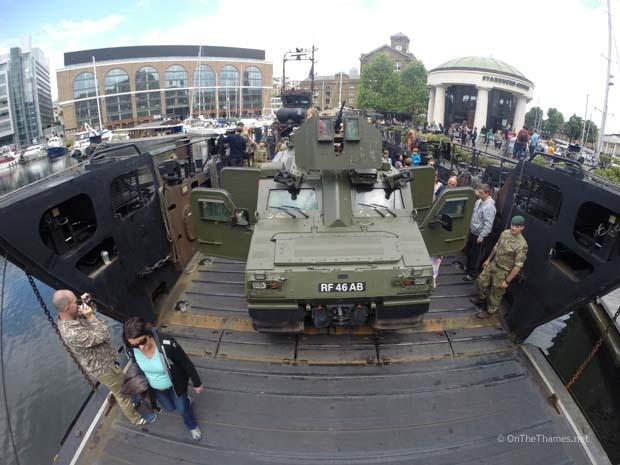 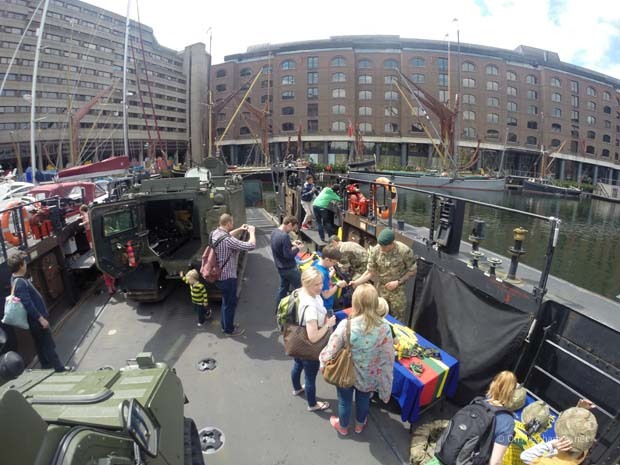 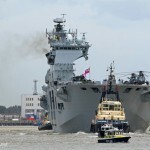 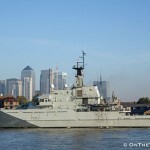 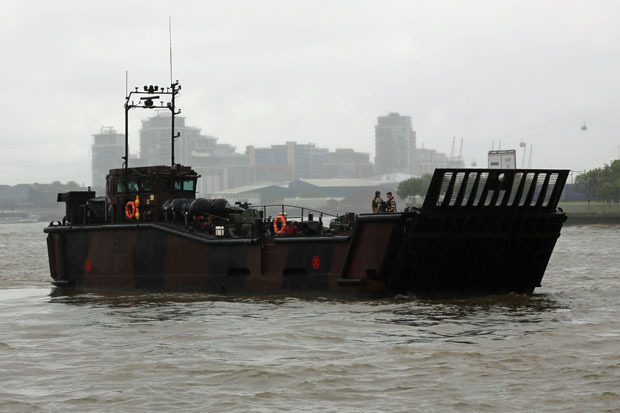 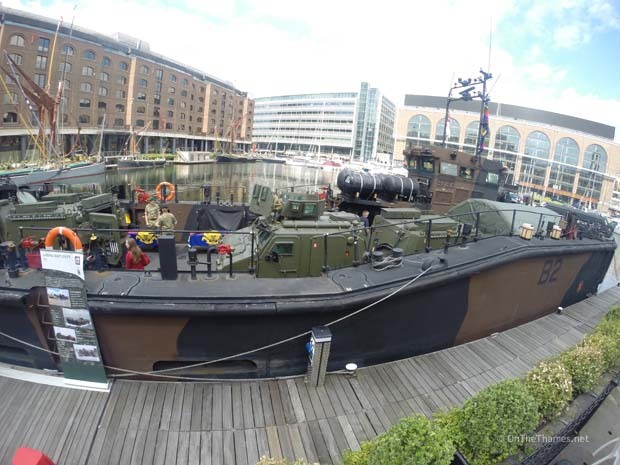 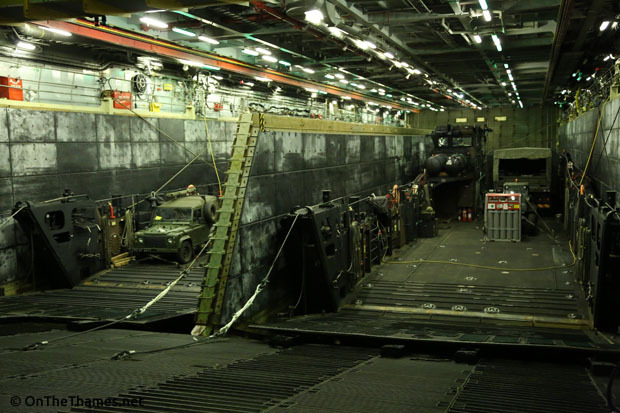 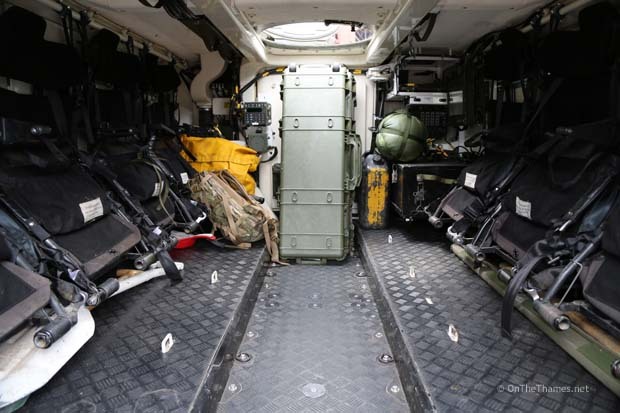 A LANDING Craft Utility vessel from HMS BULWARK was open to the public at St Katherine Docks over the weekend. 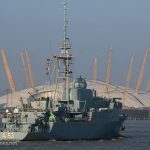 Albion-class BULWARK, currently moored at Greenwich, can carry four large MK10 LCUs in her well deck and four smaller MK5s on her sides. 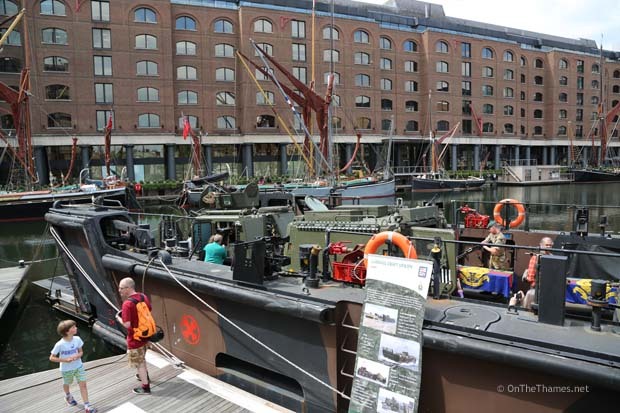 It was one of the MK10 landing craft that disembarked BULWARK and continued further up river to enter St Katherine Dock, mooring alongside Starbucks coffee shop. 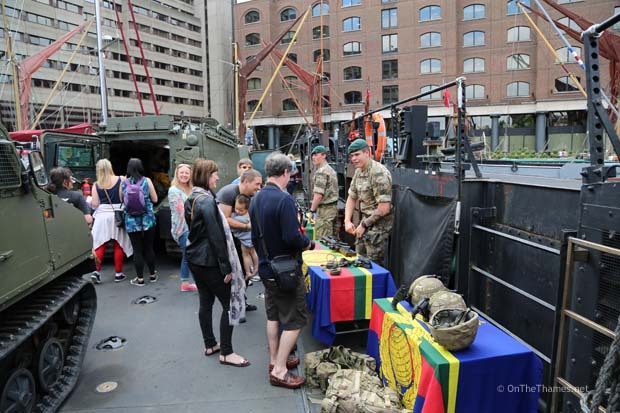 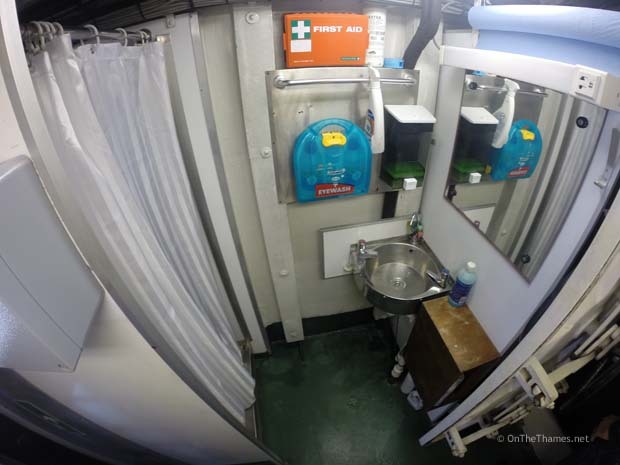 The vessel proved a popular draw across the weekend with Royal Marines keen to explain their work and show off the tools they use. 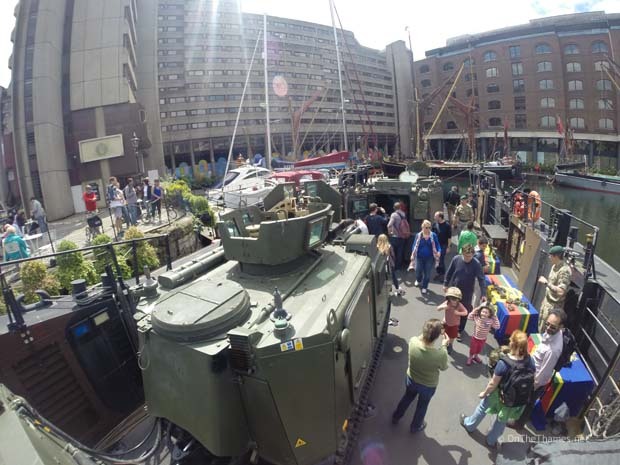 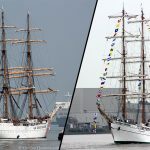 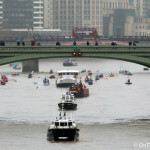 The LCU left St Kats on Sunday afternoon at about 5pm. 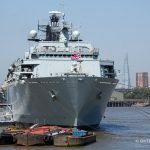 BULWARK will leave London early on June 3rd.